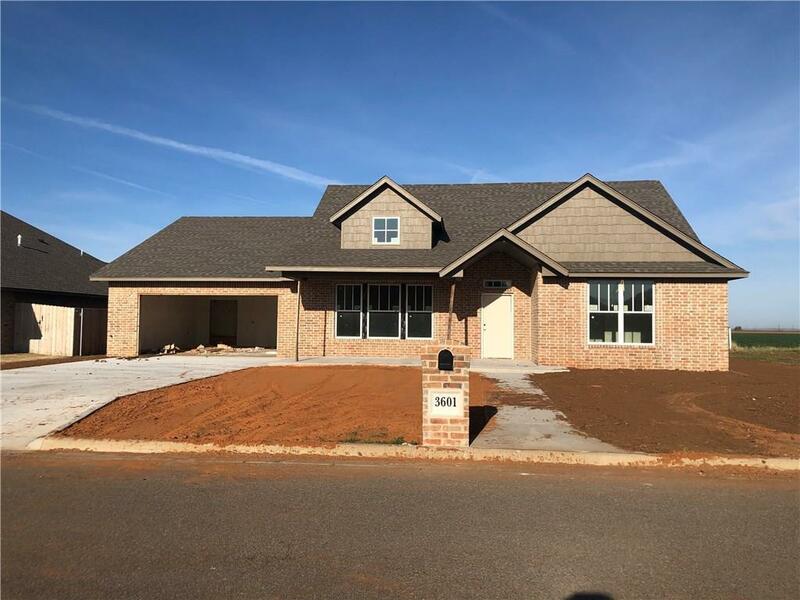 3601 Regal Drive Altus, OK. | MLS# 860466 | CENTURY 21 Altus Prestige Realty, Inc.
Beautiful new construction home with 4 bedrooms, 2.5 bathrooms, 2 car garage and split floor plan. Living room has 14' vaulted ceiling and is open to the dining room and kitchen. Kitchen will feature large center island, upscale cabinetry and stainless appliances. Master bedroom is 14' x 15' and has attached bath with walk-in tile shower, double sinks and 8' x 6.5' closet. Bedroom two is approx 14' x 11', bedroom three is 13' x 12' and fourth bedroom is 14.5' x 12.5'. There is a powder room plus a full bathroom with double sinks as well. Covered 22' x 10' back porch and backyard will have privacy fence. House can be completed within 60 days.